Another successful meeting was held in Bristol, in a series of such meetings hosted by CPGB-ML across the country to mark the great contribution Comrade Chavez has made to the progressive movement. The meeting, held on Thursday 14 March, attracted a range of people including some from Poland and Spain as well as local Bristol residents. The local organiser of Cuba Solidarity Campaign, Yvonne, spoke first recounting the solidarity and camaraderie between Cuba and Venezuela and also personally between Fidel and Chavez. Yvonne echoed the sadness that had been felt in Cuba at the loss of Chavez at such a young age and remarked that it had only been a couple of years ago that Fidel was fighting illness and Chavez had been the one to visit his hospital bedside. She also highlighted the benefits that had been brought to the region through the creation of ALBA, the Bolivarian Alternative for Latin America and the Caribbean, and CELAC, the Community of Latin American and Caribbean States. Following Yvonne’s contribution, Comrade Giles of the CPGB-ML gave a well-informed speech explaining the context that lead to Chavez getting elected in 1998, the attempted coup against him in 2002 and the development and achievements of the Bolivarian revolution, with statistics and commentary about how the lives of the majority of Venezuelans have been positively affected. Giles also showed Chavez’s international solidarity and his courage in standing firm in support of the countries who are defending their sovereignty against the might of imperialism. Giles spoke of Chavez’s support for Ahmadinejad in Iran, Mugabe in Zimbabwe, Al Assad in Syria, and Gaddafi in Libya, all of which typified his determination to stand on the side of the oppressed. A lively discussion followed the presentation with additional comments made about how the media is used to create a false impression of these leaders. An example from Spain was of the paper El Pais constantly referring to Chavez as a dictator and carrying misinformation about the advances made in Venezuela. It was agreed that this the same as happens in the newspapers in Britain and is done deliberately to try and deflect peoples’ attention away from the idea that there is an alternative to capitalism. The conclusion of the meeting gave its full support to Venezuelan government as it stands firm to defends the gains that have been made over the last 14 years. Imperialism will no doubt be working hard to attempt to roll back these achievements and will use any trick it can to get back control of the wealth of Venezuela. It is therefore our internationalist duty to stand strong and vigilant in opposing any such attempts by imperialism. Just as Comrade Hugo Chavez was a staunch defender of those who stood on the axis of resistance in the face of imperialist hegemony, we must learn from this great example and also stand firm in solidarity with our comrades, brothers and sisters in Venezuela. A final red salute to our comrade Hugo Chavez. 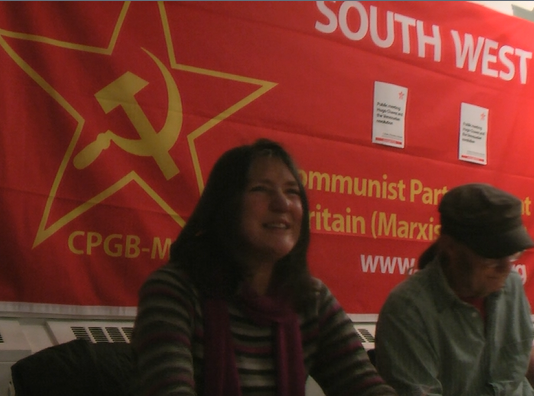 Bristol CPGB-ML will be hosting another public meeting Fighting for communism: the future that works! on Thursday 4 April, 7.30pm at Hamilton House, 80 Stokes Croft, Bristol BS1 3QY. The meeting will be a short film showing followed by discussion. All are welcome, we hope to see some more new faces. It is outside intervention that poses the greatest threat to Libya's people. The excellent statement below was issued by Workers World newspaper on 23 February 2011. Of all the struggles going on in North Africa and the Middle East right now, the most difficult to unravel is the one in Libya. What is the character of the opposition to the Gaddafi regime, which reportedly now controls the eastern city of Benghazi? Is it just coincidence that the rebellion started in Benghazi, which is north of Libya’s richest oil fields as well as close to most of its oil and gas pipelines, refineries and its LNG port? Is there a plan to partition the country? What is the risk of imperialist military intervention, which poses the gravest danger for the people of the entire region? Libya is not like Egypt. Its leader, Moammar al-Gaddafi, has not been an imperialist puppet like Hosni Mubarak. For many years, Gaddafi was allied to countries and movements fighting imperialism. On taking power in 1969 through a military coup, he nationalised Libya’s oil and used much of that money to develop the Libyan economy. Conditions of life improved dramatically for the people. both the US and the UN to wreck the Libyan economy. subsidies on necessities like food and fuel. The Libyan people are suffering from the same high prices and unemployment that underlie the rebellions elsewhere and that flow from the worldwide capitalist economic crisis. There can be no doubt that the struggle sweeping the Arab world for political freedom and economic justice has also struck a chord in Libya. There can be no doubt that discontent with the Gaddafi regime is motivating a significant section of the population. it with the flag of the overthrown monarch King Idris – who had been a puppet of US and British imperialism. The western media are basing a great deal of their reporting on supposed facts provided by the exile group National Front for the Salvation of Libya, which was trained and financed by the US CIA. Google the front’s name plus CIA and you will find hundreds of references. the imperialists are pulling every string they can to get the masses off the streets. it, and that’s what underlies their professed concern for the people’s democratic rights in Libya. In the US, some forces are trying to mobilise a street-level campaign promoting such US intervention. We should oppose this outright and remind any well-intentioned people of the millions killed and displaced by US intervention in Iraq. Progressive people are in sympathy with what they see as a popular movement in Libya. We can help such a movement most by supporting its just demands while rejecting imperialist intervention, in whatever form it may take. It is the people of Libya who must decide their future. Happy 50th birthday, socialist Cuba! Congratulations to the Cuban Communist Party and the Cuban people on the momentous occasion of the fiftieth anniversary of the Cuban revolution. Below is an article on the subject from the latest issue of Proletarian. New Year’s Day is a day for celebrating, not only as it is the dawn of a new calendar year but also as it marks the triumphant day on which the Cuban people ousted the military dictatorship of Fulgencio Batista, so ridding themselves of the shackles of capitalism and setting out on the road toward socialism. This New Year, 2009, is especially significant as it will be the 50th anniversary of the Cuban revolution. No doubt there will be big celebrations across Cuba, and these are bound to be mirrored around the world by the masses of exploited and oppressed people who recognise the huge achievements brought about by the Cuban revolution and who hold dear the shining example of the Cuban people, who have demonstrated for half a century what working people are capable of when they take power. Cuba spent some 400 years as a Spanish colony, having been ‘discovered’ by Columbus in 1492. During the latter part of the nineteenth century, a fierce anti-colonial struggle developed, lead by José Martí and the Cuban Revolutionary Party. However, just a few months later, in February 1898, the US battleship Maine blew up in Havana Bay and drew the US into a war with the Spanish. It is widely believed that the attack on the battleship was actually instigated by the US in order to pull Spain into a war for the ‘ownership’ of Cuba. The US were the victors of that war, and so, in 1899, dominion over Cuba was transferred to the US, which granted nominal independence to the island in 1902, but retained economic control until the revolution in 1959. The first half of the 20th century saw Cuba descend into a haven for drugs, prostitution and gambling, as the US ruling class, with the help of the Cuban comprador bourgeoisie, turned the small island into an offshore playground. Successive Cuban governments showed themselves to be nothing more than puppets of US imperialism, maintaining the status quo and allowing the wealth of the land to be leeched by foreign imperialists while the average Cuban was left to serve the colonisers or starve. Nevertheless, throughout this period, progressive forces continued to mobilise and struggle against the reactionary governments. The increasing strength of the movement was illustrated on 10 March 1952, when Fulgencio Batista, in a bid to prevent a communist candidate winning the elections, seized power by force. Batista had been a military man for many years and had served the establishment well, suppressing uprisings during the 1930s and 40s. In 1940, he served a term of four years as elected president, during which time US trade relations increased and Cuba entered the second world war on the side of the allies. Following the coup d’etat in 1952, Batista ruled Cuba with an iron fist. He abolished the constitution, dismissed the Congress of the Republic and firmly held open the door to US imperialism. Following this call to fight, Castro got together with a group of other revolutionaries who had fought in previous uprisings, with the intention of carrying out an attack on the military regime and thus providing a catalyst for further uprisings. The target of this attack was to be the Moncada Barracks, the second-largest barracks in Cuba, located a fair distance from any potential back-up forces, as well as being on the outskirts of Santiago de Cuba, where the independence movement had always been strong. During the night of 26 July 1953, a group of 131 combatants led in three groups by Fidel Castro, Abel Santamaria and Raúl Castro attacked the barracks. Despite extensive and secretive preparation by Fidel and others, the first attacking column was intercepted by an unscheduled patrol of Batista’s forces, sparking a battle and alerting the rest of the barracks to the attack. Almost all the combatants were captured, eight being killed in battle while a handful escaped. The following day, a further 50 fighters were executed as a warning to others. The rest were tried, along with others who had been rounded up but had no involvement in the attack. It was during the Moncada Barracks trial that Fidel gave one of his most famous speeches, now recognised by his final statement: “History will absolve me”. Fidel used the speech to expose the brutality of the Batista regime, the downtrodden existence of the Cuban people and the need to fight for liberty and freedom. The success of the defence team, in spite of limitations imposed on them by the court, meant that only 26 were found guilty, and a large proportion of these were given lenient sentences. Fidel, however, along with several others involved in the attack, was sentenced to 15 years and imprisoned in Isle of Pines. Two years later, following continued protests for their release, and in the face of increasing unrest, Batista granted the release of Castro and the other imprisoned combatants. On their release, they were greeted with great popular acclaim and determined to continue the work they had started. So, in June 1955, Castro and several other revolutionaries who had attacked the Moncada Barracks held an official meeting and formed the Movement of 26 July (M 26-J). As M 26-J increased its activity, so too did the repressive measures of the Batista regime. By July, Fidel had decided that, in order to effectively organise, he needed to leave the country and train elsewhere. Having relocated to Mexico, Castro and several others set up camp, specifically choosing remote terrain similar to Cuba’s in order to prepare themselves for the next stage of the struggle. It was here that they met Che Guevera. Che had fled persecution in Guatemala and, having met some of the M 26-J comrades previously, was introduced to Castro and so began his involvement in the preparations for the Cuban revolution. M 26-J members in Mexico maintained constant communication with the workers’ and peasants’ struggles taking place in Cuba. Fidel wrote manifestos for the movement analysing the struggle and the tasks ahead, which were distributed in Cuba. While the revolutionaries trained in Mexico, hardships suffered by the Cuban population under Batista increased the support for the goals set out by the M 26-J. After a year of mobilising troops and building up the forces both in Mexico and in Cuba, the M 26-J planned coordinated attacks across the country, with the Mexican contingent travelling across the Gulf to reinforce the eastern front. On 25 November 1956, from the port of Tupax, Mexico, the Granma, only a small boat, carried 82 members of the M 26-J across the Gulf of Mexico, aiming for Cuba’s eastern coast. However, the heavy load on the boat slowed the journey, delaying its landing to 2 December, two days after the attacks of the M 26-J were to be launched. This proved almost fatal for the insurrection as, despite the forces within Cuba mounting uprisings and making some gains, they had not been the outright victors. The delay of the Granma meant that Batista’s forces were at the boat’s landing site within an hour with all the planes and troops they could muster. In the face of this military onslaught, and against all odds, the rebels continued towards the mountains of the Sierra Maestra. However, a large part of their contingent was captured and over 20 executed on the spot. The remaining 10 members moved deeper into the mountains and regrouped, ready to continue the fight against the regime. During the next 24 months, the 10 members of M 26-J in the Sierra Maestra recruited workers and peasants from across the countryside and towns as a fierce war ensued against the regime. By December 1958, the rebel army, with Fidel as commander-in-chief, and Che Guevara, Camilio Cienfuegos, Raúl Castro, Juan Alemida and Celia Sánchez as leaders of the columns, led the forces across the country taking city after city and growing in number by the day. Che Guevara’s Column No. 8, by this time made up of 300 well-armed and experienced troops, was joined on 29 December by 5,000 recruits trained in the Escambray mountains in the battle for Santa Cruz. This was the dictatorship’s last and most powerful stronghold. The rebels captured enemy positions one by one, cutting off communication and finally taking all government troops prisoner and seizing control of the city. At 2.00am on 1 January 1959, Batista fled the country, leaving the rebel army victorious. Thus it was, five years, five months and five days after the attack on the Moncada Barracks, that the programme publicised during the Moncada trial for developing a Cuba for the Cuban people was finally put into action. For a real flavour of this struggle, it is well worth watching the beautifully filmed and choreographed epic Soy Cuba (I am Cuba). Using the lives of several Cubans, from a farmer forced to sell all his land to the United Fruit Company to a young girl living in a tin shack having to serve opulent US and foreign ‘diplomats’, it shows graphically the disparity between the life of a Cuban and that of the foreign and comprador bourgeoisie under Batista. The film aptly portrays the struggle in the towns by the students and workers and how this eventually combined with the guerrilla war led by Fidel, Che, Camilo Cienfuegos and the other fighters and the thousands of recruits who joined the guerrillas from the countryside. The film ends with the triumphant scene of the guerrilla army advancing victoriously towards Havana. The revolutionary government began by addressing the poverty, hunger and illiteracy that had plagued the lives of Cubans for the past century. The sentiment of the five revolutionary laws outlined in Fidel’s ‘History will absolve me’ speech was put into action. In May 1959, under the Agrarian Reform act, Cuba began expropriating land and private property for the benefit of more than 100,000 rural families. Rental costs were reduced by 50 percent. Social security measures were extended across the entire population. The revolution embarked upon creating 10,000 classrooms for the 10,000 teachers without jobs to be able to teach the 600,000 children not then in school. They also began training voluntary teachers, who were then sent to wherever they were needed, thus becoming part of the campaign to rid Cuba of illiteracy. By 1960, the government had nationalised more than $25bn worth of private property in Cuba, and on 6 August 1960, Cuba nationalised all US-owned property, as well as all other foreign-owned property. This move unsurprisingly brought the wrath of the already fuming imperialist power. The US government seized all Cuban assets abroad and tightened the embargo that it had imposed following the success of the revolution. Since 1962, the US has maintained a full economic blockade of the country. Cuba became one of US imperialism’s most hated states, not only because it seized assets previously under the control of US corporations, directly hitting the US economy, but also because of the example it set to all the downtrodden exploited masses in the US and elsewhere of what is possible when power is seized by the working class and peasantry. Thus it was that the wrath of US imperialism was not only felt economically through the embargo but also militarily. In 1961, the US staged an attack on the Bay of Pigs in an attempt to oust Fidel and the Communist Party from Cuba. The invasion was defeated, however, through the coordination of the Committees for the Defence of the Revolution (who rounded up all pro-Batista and US forces, preventing them from mobilising a coup within towns), combined with a strong military response led by Fidel. Having failed to get rid of socialist Cuba by direct invasion in 1961, US imperialism has not relented and continues to this day in its attempts to undermine the revolution. 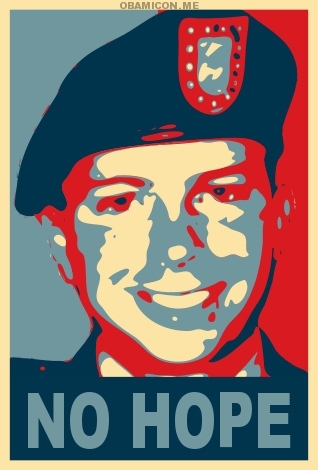 This is done through encouraging and financing counterrevolutionary and terrorist activities against Cuba, from backing Luis Posada Carriles, the self-confessed terrorist who has attacked Venezuela and Cuba and now is protected by the US, to funding Hermanos al Rescate (Brothers to the Rescue [! ]), a terrorist group created in the US to attack Cuba. In 1992, just after Cuba had lost 85 percent of her trade with the Soviet Union following the latter’s collapse, the US senate tightened the blockade passing the Cuban Democracy Act[! ], known as the Torricelli Act. The act, as outlined by Congressmen Torricelli himself, was designed to “wreak havoc on the island”, extending the blockade to countries outside the US and thus preventing the purchase of vital goods by Cuba. Then, in 1996, the US passed the equally inappropriately titled Cuban Liberty and Democracy Solidarity Act, aka the Helms-Burton Act, extending the embargo to penalise any foreign company that trades with Cuba. It also called for more active interference in the running of the country, through funding subversive activity as mentioned above and increasing the use of external radio and TV broadcasts into Cuba from Miami, notably Radio Marti and TV Marti. The Helms-Burton Act also further restricted the sale of Cuban goods within the US, which for a moment in 1999 was broken following Cuba’s development of a vaccine against meningitis B. After an outbreak in the US, the Treasury Department finally relented and granted a licence in 1999, having refused to do so for over 10 years. It is in the face of this that the Cuban people, led by the Communist Party of Cuba, have not only survived but made massive strides in improving the standard of living of all Cubans. The Cuban people enjoy a standard of living incomparable in the western world. Incomparable not because of the material goods they have, as these are undoubtedly limited, but because of the freedoms that they benefit from: the freedom that ensures every Cuban lives under shelter, has the right to universal free education and access to a healthcare system that is not dependant on income. In short, the freedom to live a full life no matter who you are or which family you are born into. Decent housing for all is a right guaranteed by the Cuban constitution. Homelessness is unheard of. Housing costs in Cuba have been maintained at a low level, with many either owning their homes outright or paying an average of 10 percent of income towards their homes. As for education, the initial ambition of the revolution to rid Cuba of illiteracy has long since been achieved, something not all so-called developed countries can lay claim to. Education is taken very seriously, with 10 percent of Cuba’s GDP being spent on providing free, universal education for all. Unlike the increasingly expensive university education that is a privilege rather than a right in the imperialist world, all Cubans can attend any of Cuba’s 47 universities free of charge. Scholarships are also open to less privileged students from Latin America, the Caribbean, and even the US and Europe, many of whom study medicine and are encouraged to return to their homelands after graduation to implement their skills there. Before the revolution, only 8 percent of the rural population had access to health care, but today Cuba can boast of a system that provides free health care to its entire population, as highlighted in the recent Michael Moore film Sicko. The doctor to patient ratio in Cuba is higher than any other country, with a doctor for every 169 inhabitants. In Britain, on the other hand, the average doctor has to attend to 600 inhabitants. The effect of this is that general check-ups are far more frequent and monitoring for potential illness or disease is much easier in Cuba. Consequently, Cuban life expectancy matches that of the US or Britain, and is way above other developing countries, yet for a fraction of the cost, since the emphasis is on preventative medicine and full health, rather than the system only dealing with those who are already sick and in need of expensive treatments. The advances in medical research and techniques in Cuba have also been astounding. Not least, the meningitis B vaccine previously mentioned, which was developed in the 1980s, despite the blockade severely limiting the medical supplies that are allowed into Cuba owing to the extent of US patents on treatments. It is to the credit of the well-managed, centrally organised socialist system that it is able to provide treatment and operations for 11.2 million Cubans despite these limited supplies from abroad. Cuba puts paid to myth of the ‘inefficiencies of public money’ that has been peddled by our bourgeoisie to justify the dismantling of the NHS in Britain. If the will is there, the funding and results can be found. The difference between Britain and Cuba is not that the doctors and nurses in Britain do not care, but rather that that, in a system where profit is the driving force, corners will be cut wherever possible, whether the company in question is making cars or providing health care. In socialist Cuba, where people come first, health care, education, shelter and security are the focus, and everything else comes second. The achievements Cuba has made have also benefited hundreds of thousands, if not millions, of people across the globe. During the 1960s and 1970s Cuba gave much-needed political and military support to independence struggles in Africa, not least those of Angola and Namibia. In 1979, Cuba’s military support to the Sandinistas in Nicaragua assisted them in the defeat of Somoza’s dictatorship. Cuba’s medical expertise has been shared the world over, with over 25,000 doctors sent to 68 countries. This is in stark contrast to the ‘brain drain’ of doctors who are tempted away from third world countries to serve in the NHS in Britain. Cuba has given support to many afflicted peoples at times of great need. After the south Asian tsunami, Cuba sent teams of medics to give support, as she did also in the aftermath of earthquakes in Pakistan. It is also well known that after the devastation caused by Hurricane Katrina in 2007, Cuba was one of the first countries to offer assistance in the form of 1,500 doctors. The US, despite a severe shortage, never accepted this offer. In collaboration with Venezuela, the continent-wide Operación Milagro (Operation Miracle) has been underway for three years, treating vast numbers of poor people who have lost, or are losing, their eyesight, by providing free ophthalmology operations. Cuba provides the doctors and expertise while Venezuela provides transportation, accommodation and food, in effect giving sight back to over 6 million people in Latin America and the Caribbean, with the potential for the programme to be extended even further. As part of ALBA (Bolivarian Alternative for the Americans), Cuba and Venezuela have also agreed to share expertise and goods. Cuba is providing doctors, who work in neighbourhoods across Venezuela as part of Mission Barrio Adentro. In return, Cuba purchases crude oil at reduced rates. The developments in Latin America as a whole have been tremendously positive for the small island of Cuba. From the collapse of the USSR in 1991 until recently, Cuba was an isolated socialist country, struggling alone in the Americas against the might of US imperialism just 90 miles to the north, with a host of US puppet regimes to the south. Now, with Venezuela and Bolivia standing as strong allies, along with several other progressive Latin American countries, Cuba’s position has been strengthened. In addition, the increased trade links with China and Russia will also strengthen Cuba’s presence and stability in the region. While capitalism is deep in crisis, the example that Cuba sets the working class and oppressed people should be broadcast as widely as possible. Cuba is a country that all progressive people should be proud of. When asked what alternative there is to capitalism, we should outline what the Communist Party of Cuba, supported by the people of Cuba, has been able to achieve in the face of constant imperialist aggression. The proletariat in the imperialist countries must stand shoulder to shoulder with the Cuban people in their heroic defence of Cuban independence and socialism and against US imperialist bullying, trade blockades and threats of invasion and aggression. Celebrate New Year’s Day this year with added vigour, remembering what has been achieved in Cuba and what could be achieved by a successful socialist revolution in Britain.